Space Test Experiment Program; series of USAF technology test satellites. AKA: TSX. Status: Operational 1995. First Launch: 1995-06-22. Last Launch: 2000-06-07. Number: 2 . Gross mass: 267 kg (588 lb). Family: Military, Surveillance, Technology, Technology satellite. Country: USA. Spacecraft: TAOS, Eagle, STEP. Launch Vehicles: Pegasus, Pegasus/HAPS, ARPA Taurus, Pegasus XL. Launch Sites: Vandenberg, Point Arguello WADZ, Wallops Island DZ. Agency: USAF, USAF STP, OSC. Bibliography: 2, 5, 552, 554. 1994 March 13 - . 22:32 GMT - . Launch Site: Vandenberg. Launch Complex: Vandenberg 576E. LV Family: Taurus. Launch Vehicle: ARPA Taurus. USA 101 - . Payload: STEP-0 / STEP M0. Mass: 502 kg (1,106 lb). Nation: USA. Agency: USAF. Program: STEP. Class: Military. Type: Strategic defense satellite. Spacecraft: TAOS. USAF Sat Cat: 23030 . COSPAR: 1994-017A. Apogee: 561 km (348 mi). Perigee: 555 km (344 mi). Inclination: 105.00 deg. Period: 95.80 min. Space Test Experiment Program; 10 satellite subsystem experiments. 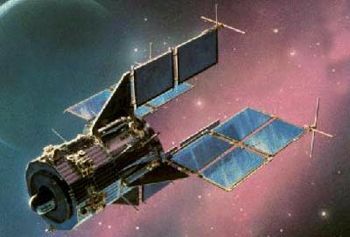 Space craft engaged in investigation of spaceflight techniques and technology (US Cat A). .
1994 May 19 - . 17:03 GMT - . Launch Site: Point Arguello. Launch Complex: Point Arguello WADZ. Launch Pad: Aircraft from Edwards.. Launch Platform: NB-52 008. LV Family: Pegasus. Launch Vehicle: Pegasus/HAPS. STEP 2 (SIDEX) - . Payload: STEP M2 / P 91-A. Mass: 180 kg (390 lb). Nation: USA. Agency: USAF STP. Program: STEP. Class: Military. Type: Strategic defense satellite. Spacecraft: Eagle. USAF Sat Cat: 23105 . COSPAR: 1994-029A. Apogee: 813 km (505 mi). Perigee: 597 km (370 mi). Inclination: 82.00 deg. Period: 98.90 min. Did not achieve planned orbit, though still useful. Space craft engaged in investigation of spaceflight techniques and technology (US Cat A). Air dropped in Point Arguello WADZ..
1994 June 27 - . 21:15 GMT - . Launch Site: Point Arguello. Launch Complex: Point Arguello WADZ. Launch Pad: Aircraft from Vandenberg.. Launch Platform: L-1011. LV Family: Pegasus. Launch Vehicle: Pegasus XL. FAILURE: Destroyed on launch . Failed Stage: 1. STEP 1 - . Payload: STEP M1 / P90-1. Mass: 180 kg (390 lb). Nation: USA. Agency: OSC. Program: STEP. Class: Military. Type: Strategic defense satellite. Spacecraft: Eagle. Apogee: 38 km (23 mi). Destroyed on launch Air dropped in Point Arguello WADZ..
1995 June 22 - . 19:58 GMT - . Launch Site: Point Arguello. Launch Complex: Point Arguello WADZ. Launch Pad: Aircraft from Vandenberg.. Launch Platform: L-1011. LV Family: Pegasus. Launch Vehicle: Pegasus XL. FAILURE: Second stage failure; destroyed by range safety.. Failed Stage: 2. STEP 3 - . Payload: STEP M3. Mass: 267 kg (588 lb). Nation: USA. Agency: USAF. Program: STEP. Class: Technology. Type: Navigation technology satellite. Spacecraft: STEP. Decay Date: 1995-06-22 . Apogee: 144 km (89 mi). Space Test Experiment Platform. Air dropped in Point Arguello WADZ..
1997 October 22 - . 13:13 GMT - . Launch Site: Wallops Island. Launch Complex: Wallops Island DZ. Launch Pad: RW04/22. Launch Platform: L-1011. LV Family: Pegasus. Launch Vehicle: Pegasus XL. STEP-4 - . Payload: STEP M4. Mass: 180 kg (390 lb). Nation: USA. Agency: USAF STP. Program: STEP. Class: Military. Type: Strategic defense satellite. Spacecraft: Eagle. Decay Date: 2001-03-31 . USAF Sat Cat: 25013 . COSPAR: 1997-063A. Apogee: 500 km (310 mi). Perigee: 432 km (268 mi). Inclination: 45.00 deg. Period: 93.80 min. Air dropped in Wallops Island DZ..
2000 June 7 - . 13:19 GMT - . Launch Site: Point Arguello. Launch Complex: Point Arguello WADZ. Launch Pad: Aircraft from Vandenberg.. Launch Platform: L-1011. LV Family: Pegasus. Launch Vehicle: Pegasus XL. TSX 5 - . Payload: P95-2. Mass: 247 kg (544 lb). Nation: USA. Agency: USAF STP. Manufacturer: McLean. Class: Surveillance. Type: Military surveillance satellite. Spacecraft: STEP. USAF Sat Cat: 26374 . 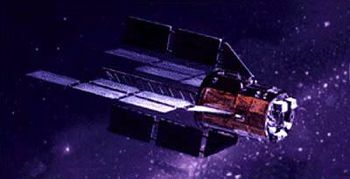 COSPAR: 2000-030A. Apogee: 1,695 km (1,053 mi). Perigee: 412 km (256 mi). Inclination: 68.94 deg. Period: 106.19 min. Military Technology satellite. Launch delayed from May 20 and June 6. Fifth STEP (Space Test Experiments Program) satellite. The satellite's main section was the STRV-2 experiment module, sponsored by the Ballistic Missile Defense Organization and the UK Ministry of Defense. This was to take infrared images of UK military aircraft at perigee, and then downlink data via laser. STRV-2 also carried vibration isolation and debris impact sensors. 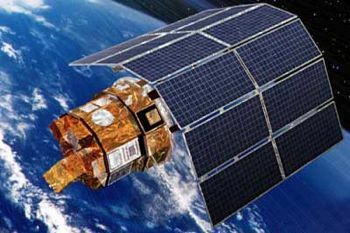 A secondary payload was the S97-1 CEASE (Compact Environmental Anomaly Sensor). This was an AFRL prototype sensor package to provide warning of spacecraft charging and radiation events. Air dropped in Point Arguello WADZ.